I’m happy to let everyone know that I’m participating in a #DevChat this coming Tuesday, June 11th at 11am PST. This is a great opportunity to get the answers to any questions you might have about developing iOS and Android applications with Windows Azure, cross platform development with Mobile Services, and going mobile with the cloud. I’ll try and post a wrap up of all the important questions and answers here after the #DevChat. We’re excited to have Chris Risner as our guest for the next #DevChat, Tuesday, June 11th at 11am PST. Chris works as a Technical Evangelist for Microsoft focusing on iOS and Android connectivity with Windows Azure. He will be discussing iOS and Android app development with Windows Azure Mobile Services and mobile connectivity with the cloud. Chris is passionate about cross-platform development with Mobile Services and helping others with their projects. This is a great opportunity to learn more about cloud capabilities for your mobile apps. Please join us this Tuesday, June 11th at 11am PST to learn about cross-platform mobile development, cloud integration and Windows Azure Mobile Services. · Follow and participate in the conversation with the Twitter hashtag #DevChat. 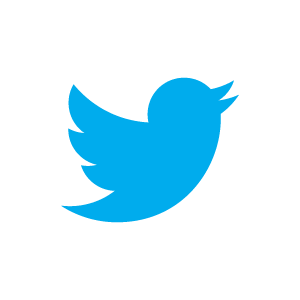 · You may also use Hootsuite, Tweetdeck, or another third-party Twitter client to monitor Twitter. If this is the case for you, you’ll just need to set up a column with the hashtag #DevChat. · Join in any time during the hour. We look forward to having your share your questions and contribute your knowledge and opinions. · We will ask a series of questions, each beginning with “Q1,” “Q2,” and so on. If you’d like to answer a question, just tweet back with “A1,” “A2,” etc. to the corresponding question. · Most of all, #DevChat is about learning, and sharing insights and experiences with your fellow developers, while having access to industry experts. Join us on Tuesday, June 11 at 11am PST.